Mamas! 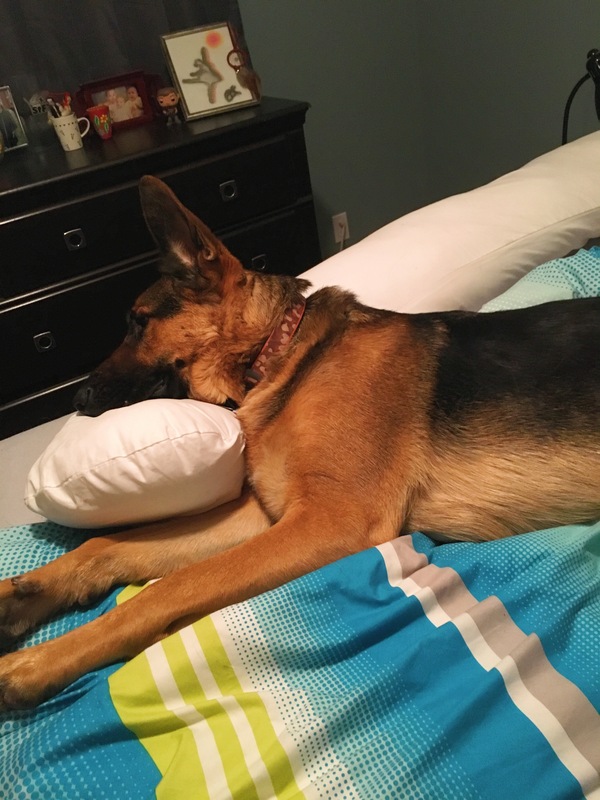 Isn’t your pregnancy pillow the GREATEST THING?! I honestly had no idea how much I needed one until I actually went out and bought one after the advise of many friends and family. I definitely do not regret it! (and if you follow me on Instagram, you know Bomber loves it too!). I have never been a person that had a hard time getting comfortable while trying to sleep, until my belly started expanding! I was that person with such a tiny pillow, who often ditched it halfway through the night and slept right on the mattress (not healthy, but how can I control what I do in my sleep? ), I then turned into a person that couldn’t get comfortable AT ALL because my muscles were in so much pain. I am also the (I’m sure annoyingly) type of person that doesn’t really like to be cuddled, so Jared couldn’t even help me out with my achey body. I tell him he cuddles “too hard”! I feel bad, but .. I’ve never been a cuddly person – just ask my Mum! So one time I was in Winnipeg for an appointment I hopped over to the mall and picked myself up a Mama Sleep Eze Body Pillow by Jolly Jumper at Sears, and I have barely had a restless night’s sleep because I couldn’t get comfortable (heartburn and leg cramps are usually the culprit now! ), and now my dog and I fight over the pillow! I am convinced that he thinks I brought it home for him, because every chance he gets he is laying on that pillow, or trying to force me off of it! 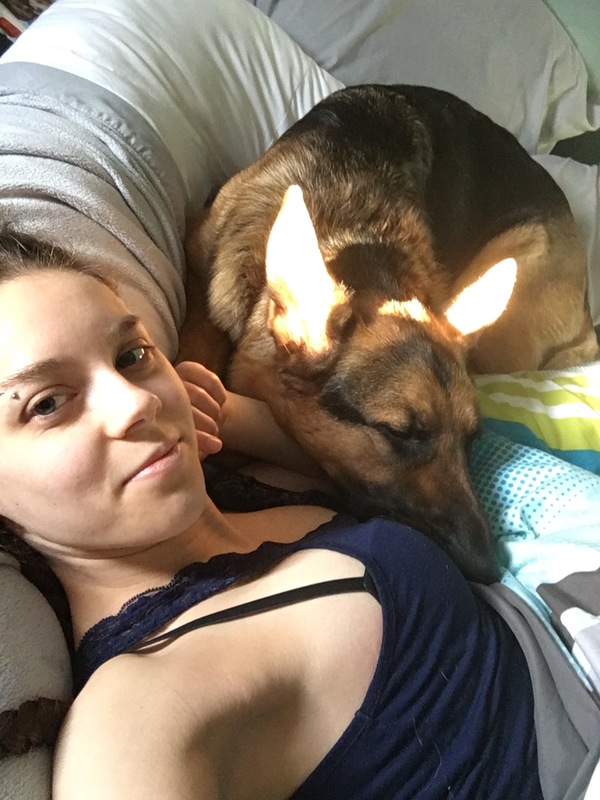 The other night we were all going to bed and Bomber, with his 80+ pound German Shepherd body wiggled his wag between my body and the pillow, and falls asleep instantly! It’s a daily struggle in our house! I think when I’m done with it, it’s going to become a doggy pillow! Mamas! What is your favourite pregnancy pillow? 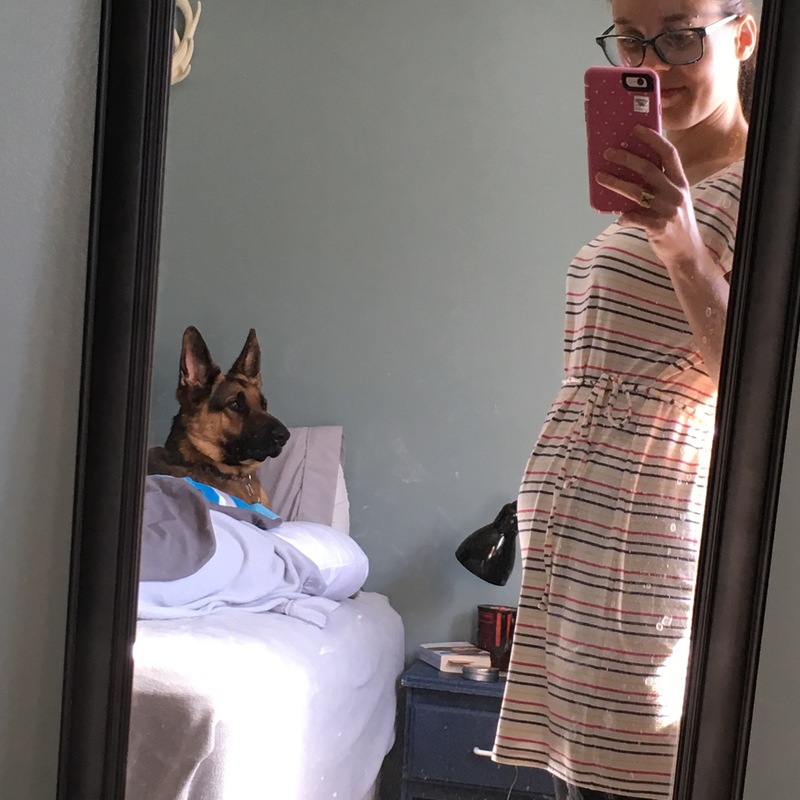 Did you keep using yours after your pregnancy? Let me know! Previous Post 20 facts about me. Good to know you like pregnancy pillow. Mama Sleep EZE Body Pillow seems really good. I would recommend this pillow to every expecting Mama! Every woman even, it made sleep so much easier and it’s helping me sleep even now that I’m recovering from my csection!